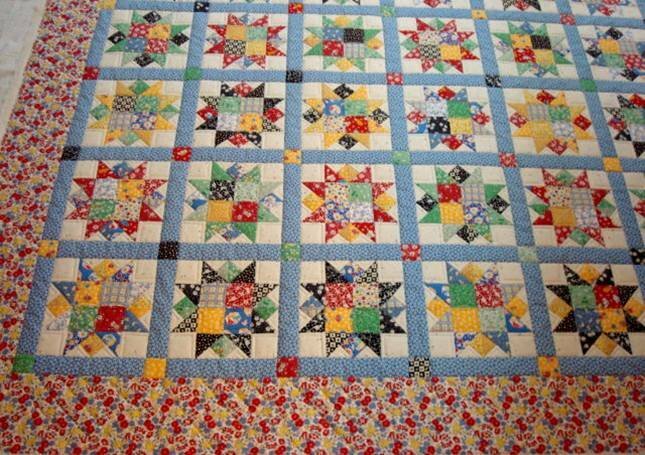 Crib size: 38" X 47 1/2"
Twin size: 70" X 89"
Queen size: 99" X 118"
This is a wonderful way to use up those scraps of fabric you've been saving. Each block is so colorful. Instructions are in book form and that makes it easier to keep all your instructions in one place. Instructions are easy to follow with colored illustrations.